Preppy Pink Crocodile: Dressing For Game Day. It's game day everywhere. Football and pumpkin spice lattes are the best parts of fall, in my opinion. And even though I live in the North Pole, I never miss a chance to cheer on my Georgia Bulldawgs. I've been a long time lover of Pennington and Bailes. I love their fun and colorful take on classic pieces. 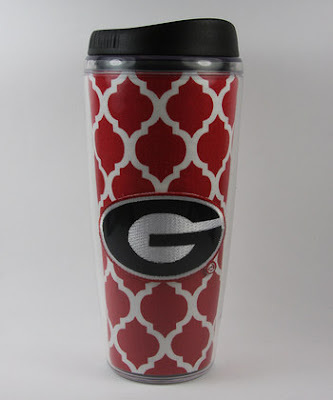 Perfect for southern game days. Well...perfect pretty much everywhere...but especially ideal down south. My Georgia peeps know how to dress in style! I also stumbled upon a wide array of game day gear on Zulily today. I honestly had no idea so many pretty team items existed until recently. 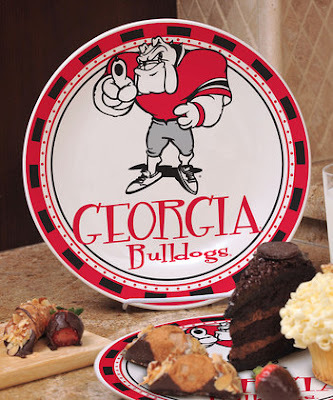 I have a few of the cute platters but didn't realize so many companies made them now. They just don't sell anything like them up here. So perhaps they are a yawn, you see them all the time item to you. But to me, I'm always so tickled. Love a great team spirit platter or mug! Perfect for a hot toddy. Love those bright colors, I'm not a big football fan but this looks like fun! So fun...very chic! Enjoy the game(s)! 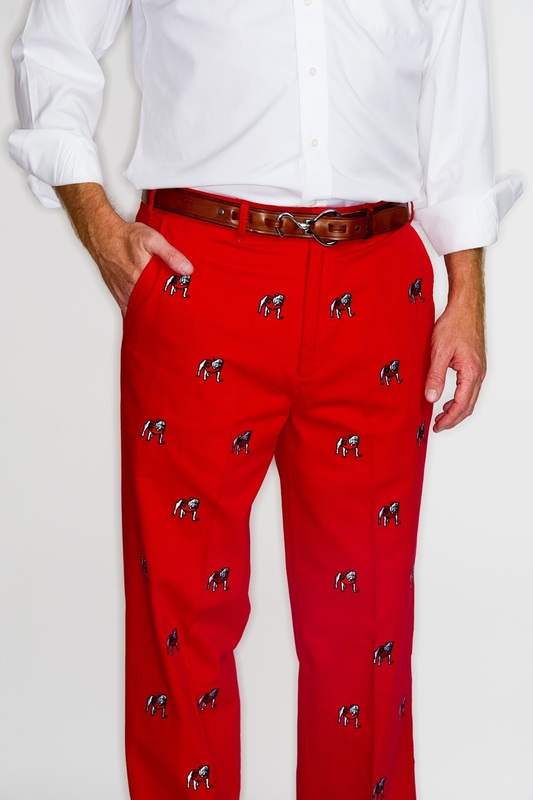 I want Tennessee pennington and bailes pants SO bad!